Ticket sales have ended, but you can still support your favorite dancer by clicking the button below. You can also support by placing bids at our silent auction, where you can place bids online on various items. Click the button below to take a look! 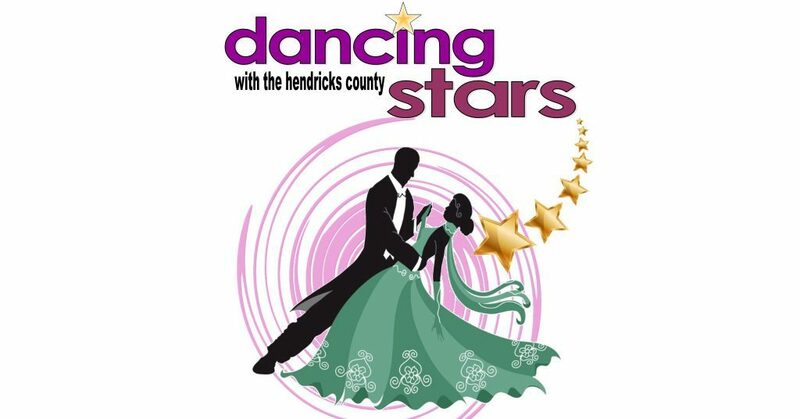 Don’t miss this year’s great event, “Dancing with the Hendricks County Stars” on April 6 at the Hendricks County Fairgrounds Expo Hall! 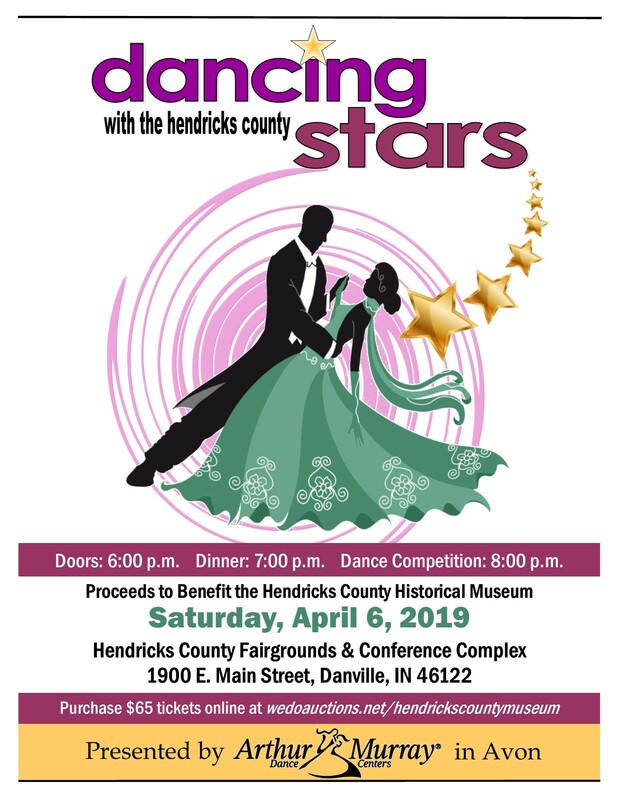 This major fundraiser for the museum is a fun-filled evening of dining, dancing, and great dance performances by “Stars” of Hendricks County! Ten people – whom you may know – are taking dance lessons from our partner, Arthur Murray Dance Center in Avon. At our Kick-off Party in January, Arthur Murray’s toasted our group to a successful series of lessons where they are learning Rumba, Cha Cha, Waltz, Hustle, and other exciting dance styles. On the evening of the event, each dancer will perform with his/her instructor to win “Best Dancer”, chosen by our judges, or “People’s Choice”, chosen by YOU when you buy tickets or donate to a dancer! A delicious dinner and wine & beer bar will be catered by Plainfield’s Coachman Restaurant. A silent auction will offer goodies, experiences, and fun stuff. You can even bid on these items a week before the event through a link right here on our website. Want even more? Get tickets for the pre-event “Meet & Greet” for just $25 more. There, you will have a free drink, hors d‘Oeuvres, and a chance to meet our “Stars”. 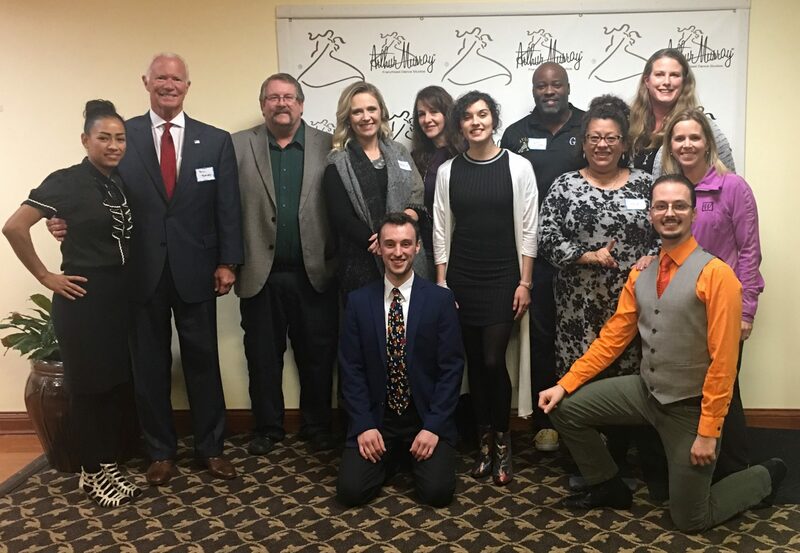 Find out what makes them “Trip the Light Fantastic” to support the Hendricks County Historical Museum’s wonderful stories of how our county came to be. Tickets go on sale January 15. Buy early – we have sold out the last two years! 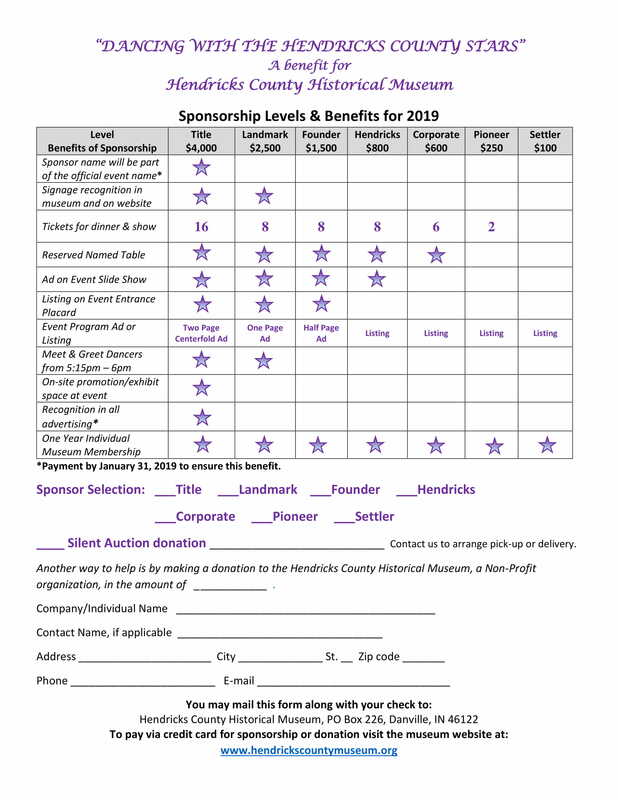 The event starts at 6:00 pm on Saturday, April 6, 2019 at the Hendricks County Fairgrounds and Expo Hall. Want to get your company’s name on our event slide show or program? Check out our sponsorship levels! Dancers at Arthur Murray Dance Center in Avon. They will be taking lessons until the event on April 6, preparing for a great performance!